Professionals love our White, WaterProof,Disposable table cover with an elastic band to wrap the table perfectly. Optional for tables that are 72"- 76" Length and 25"- 30" width. Ads a waterproof protection barrier between your client and table. Protect tables from moisture, oil and sweat. Avoid unnecessary laundry and get your pack today. Comes in a 10 pcs/pack. Made from a Polypropylene nonwoven fabric coated with a Polyethylene waterproofing lining on both sides. It's sort of a soft paper like material coated with a thin layer of plastic, it's much more durable and softer than paper. Fitted and Waterproof, great combination which is not very common! 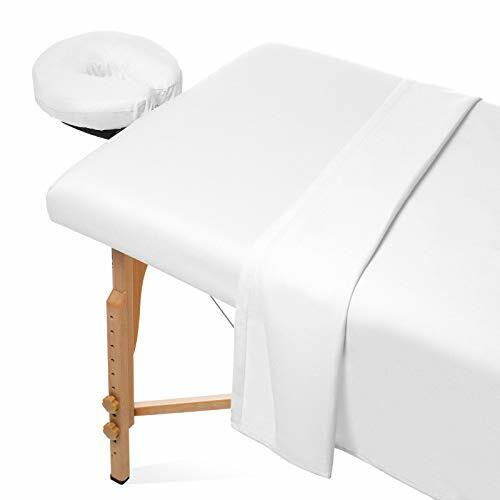 Give your clients a massage to remember every time you use these premium Saloniture massage table sheets (table not included). These soft yet incredibly durable sheets made of 100% ultra-light microfiber material feel great against the skin, providing a luxuriously silky, comfortable experience. 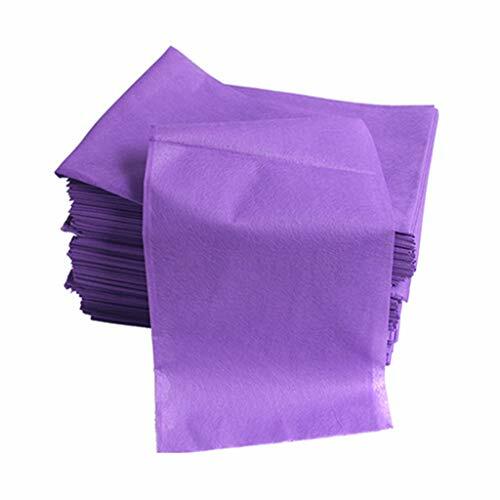 Fast-drying, stain-resistant and wrinkle-resistant, these microfiber sheets are constructed to last, ensuring durability through repeated washings. 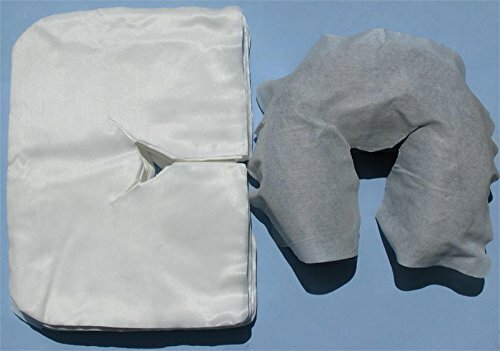 Complete 3-piece set includes a fitted sheet, flat sheet and fitted face cradle cover designed to fit almost any face crescent pad. Complete set includes a 61" x 100" flat sheet, 36" x 77" x 7" fitted sheet, and 13" x 13" x 5" fitted face rest cover. Wash within 24 hours of use. Do not overload washer with too many linens per wash cycle. Dry linens according to fabric and/or washing instructions. Saloniture specializes in creating the highest quality health and beauty equipment, and is the preferred choice by industry professionals. COMPLETE SET - Includes a 36 x 77 x 7 fitted sheet, 61 x 100 flat sheet, and 13 x 13 x 5 face cradle cover. Buy by the Case & Save! 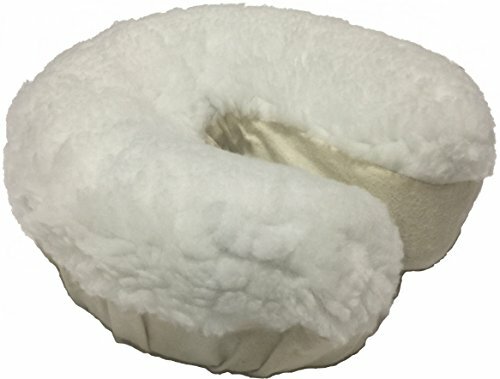 www.amazon.com/gp/product/B00G6MIBU2 Made from Extremely Soft, Non woven fabric, which makes these Disposable Head Rest Covers as soft and silky as flannel. Your patient's will love it. Disposable Head Rest Covers, 100 Per Package High Quality absorbent hypo-allergenic, medical grade fiber. The Absolute Softest and Nicest Head Rest Covers we've ever seen! Non Stick, Non Pilling, Silky Soft, Feels Like Flannel, Clients will Love Them! 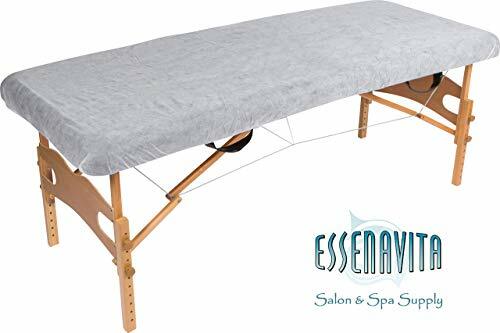 Give your clients a massage to remember every time you use these premium Saloniture massage table sheets (table not included). 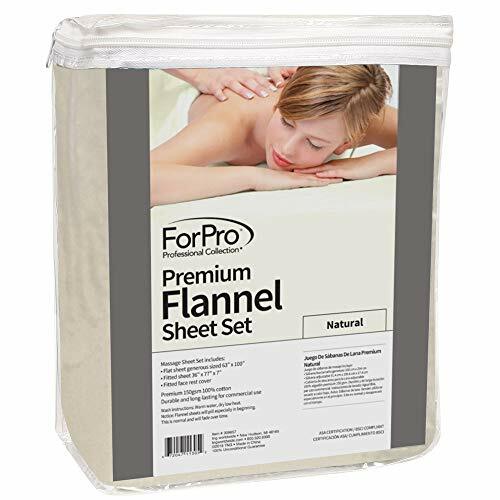 These soft yet incredibly durable sheets made of double-brushed 100% cotton flannel provide a lavish and comfortable experience, regardless of temperature or season. Unique cotton flannel weave offers a lightweight feel yet are made from substantial 150 GSM material, ensuring durability through repeated washings. Natural fiber threads allow for easier removal of lotion, creams and massage oil stains. Complete 3-piece set includes a fitted sheet, flat sheet and face cradle cover. 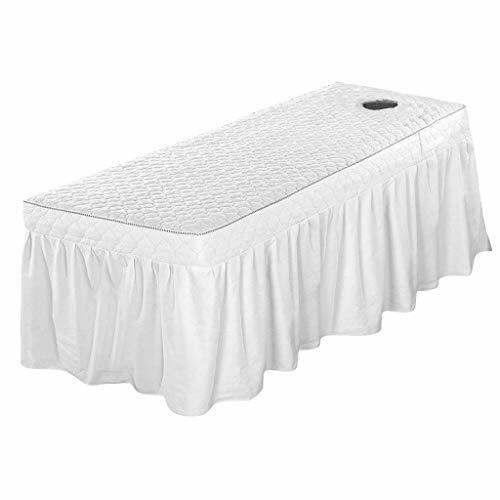 The fitted sheet measures 33" x 73" x 7" and features stretchy elastic borders for a snug fit on any standard table. 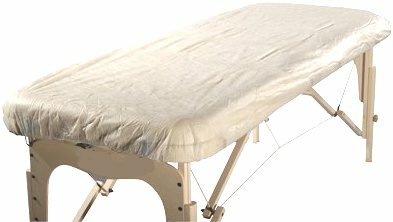 The extra-large flat sheet measures 61" x 100", ensuring a proper fit on all standard size tables, and providing optimum coverage for even your largest massage clients. 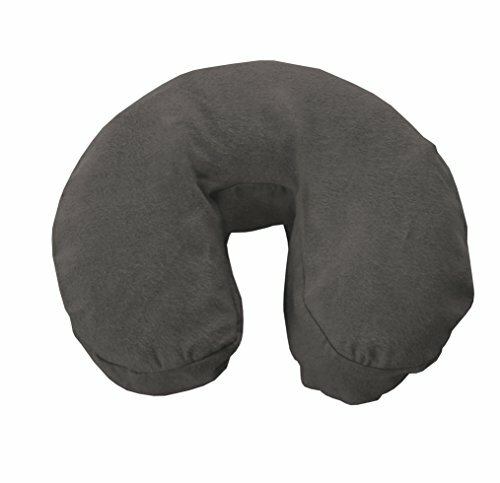 Elastic bound headrest cover measures 13" x 13" x 5" to fit most standard face cradle pillows. Saloniture specializes in creating the highest quality health and beauty equipment, and is the preferred choice by industry professionals. 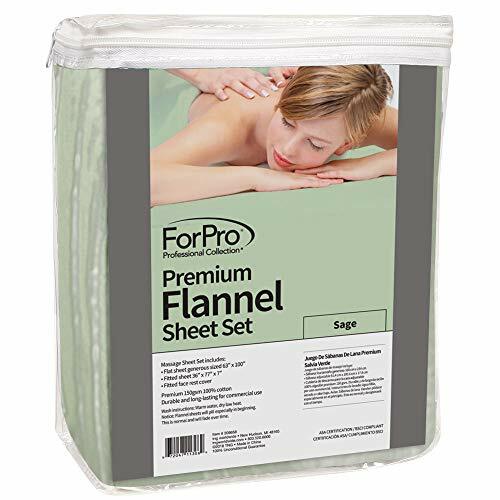 MOST COMFORTABLE MASSAGE SHEETS EVER - 100% cotton, double-brushed flannel is soft and cozy. This lightweight fabric sets the stage for ultimate relaxation, year-round. DURABLE MATERIAL - Natural fiber sheets stand up to repeated washings to maximize your investment all while keeping your space looking great. Premium weight 150 GSM (grams per square meter) cotton flannel. COMPLETE SET - Includes a 33 x 73 x 7 fitted sheet, 61 x 100 flat sheet, and 13 x 13 x 5 face cradle cover. 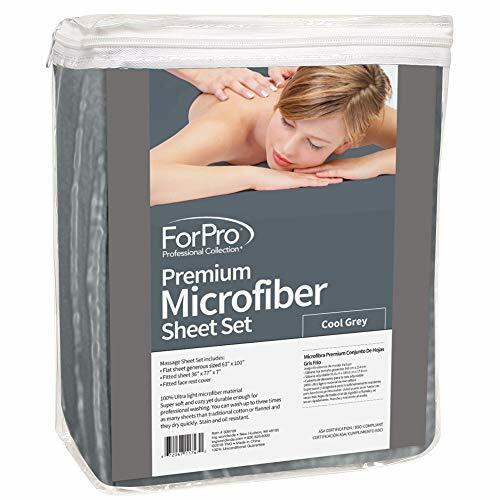 Premium Microfiber 3-Piece Massage Sheet Sets are designed for comfort and protecting massage tables against makeup, lotion, and oil stains. The microfiber material is super soft and cozy yet durable enough for professional washing. 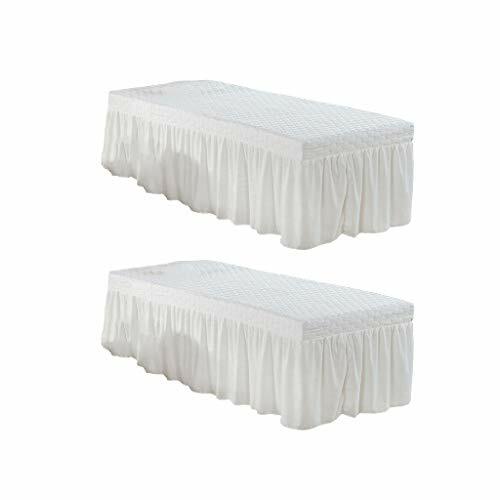 Fitted table sheet and fitted face rest cover are professionally hemmed with an all-around elastic band for great comfort and fit. Microfiber consists of very finely woven fibers which are made in the lab as compared to forming naturally in nature. It is perfect for insulating heat and providing warmth in cold climates. Microfiber sheets can be washed up to three times more than traditional cotton or flannel sheets and they dry quicker. 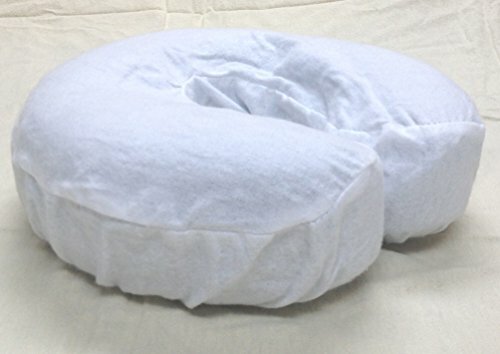 This is a nice, economical, Basic Face Crescent Cradle Cushion. The foam is 3" thick and is a great replacement cushion for your table or chair. 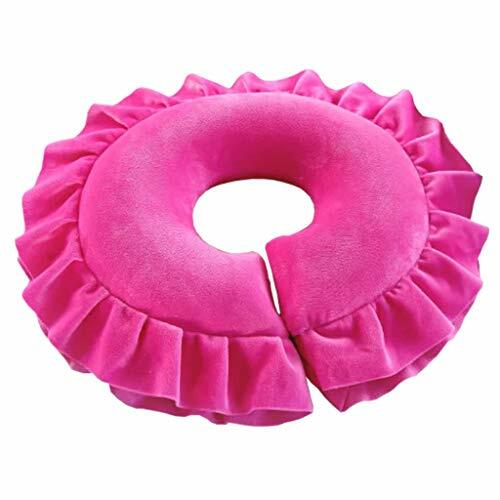 Cushion has 2 Loop Fastener Strips on back to help secure it to your head rest. The cushion measures 10"x11"x3"
Cushion has 2 Loop Fastener Strips on back to help secure it to your head rest. You get 4 per package! portable and stationary tables, and include one each of a fitted (bottom) sheet cover. These sheets are easily machine washable and pre-shrunk. Features: 100% brand new and high quality. Soft and flexible, comfortable to the , environment-friendly. Description: Item type: Sheet Applicable: salon, hotel, student, health care, hospital Color: White, pink, camel, purple, pink flower, came flower, purple flower Size: 80cm * 190cm, 120cm*190cm Material: polyester Package includes: 2PCs * beauty bed sheet cover Note: 1. Due to the light and screen difference, the item's color may be slightly different from the pictures. 2. Please allow 0.5-2 cm differences due to manual measurement. Waterproof and anti-oil grade fiber provides a protective layer between your client and bare upholstery. Solid pattern and simple design provides an unexpected treat. - Keep your face in a comfort relax position while you get a comforting massage. - Smooth-friendly velvet flannel cover and silicone cushion providing cozy comfort for your face. 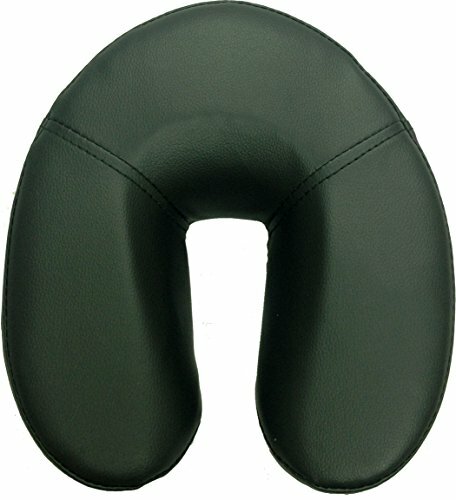 - Perfect for face, neck, head rest during massage, also can as travel cushion, nap pillow. - For hotel massage, cosmetic salon, travel, trip, camping, home, office, flight, etc. Please allow 1-2cm(0.4-0.8 inch) size difference due to measurement. Colors might be slightly different duet to different monitor display. Keep your face in a comfort relax position while you get a comforting massage. Smooth-friendly velvet flannel cover and silicone cushion providing cozy comfort for your face. 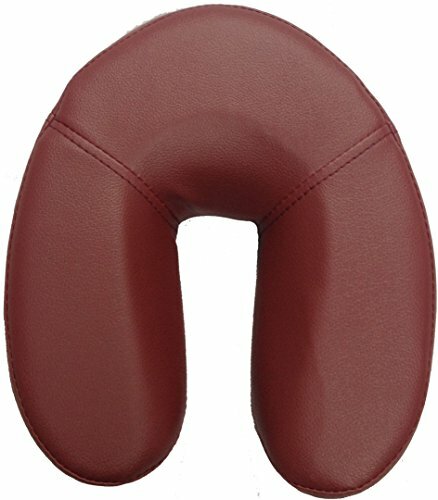 Perfect for face, neck, head rest during massage, also can as travel cushion, nap pillow. We have a lot of sizes to choose from: 30"x50",35"x60" ,50"x60",60"x63",50"x70",60"x70",60"x78",70"x90".This blanket make it simple to relax and unwind under their warmth and comfort. Simply kick back on your couch, bed, sofa or chair and cuddle in on the ultra-soft cozy blankets. 100% microfiber polyester and soft colors bring a calm and elegant touch to any room. The selection of weight is of particular importance for blankets , since heavy weight can compromise the comfort, while light weight can not keep people warm our blanket can provide warmth and lightness at the same time. Purposefully light weight to meet your traveling needs. Stow it away in your backpack or luggage for ultimate comfort in a car, bus or plane.In addition, the blanket is easy to clean, you can directly toss it in the washing machine. 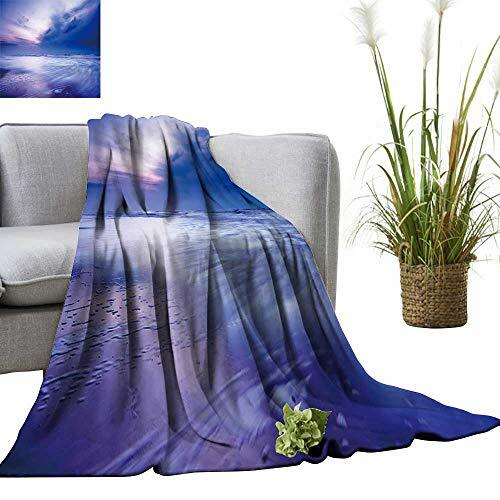 Made of high quality microfiber polyester.SIZE:30"x50"
This blanket is super soft, durable, warm and lightweight. It's wrinkle and fade resistant, doesn't shed, and is suitable for all seasons. Suitable for all seasons, applicable to bed, couch, and camping--easy to carry. 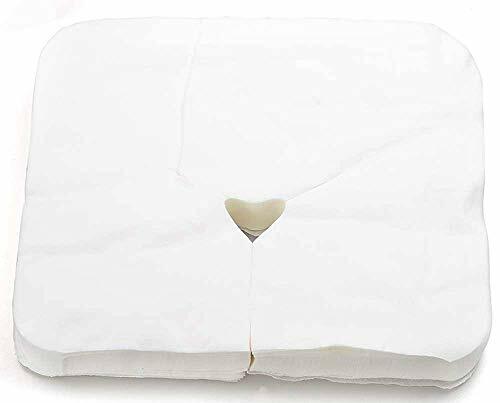 - Soft Massage Table Valance Sheet Cover with Face Breath Hole. - Makes your SPA room professional and tidy, provides a hidden saving space behind skirt for your spa accessories. - Designed with face breath hole and side pocket for cellphone, key chains, etc. - Pure cotton surface and velvet fabric filling thick sheet provide extra comfort feeling for your customers. 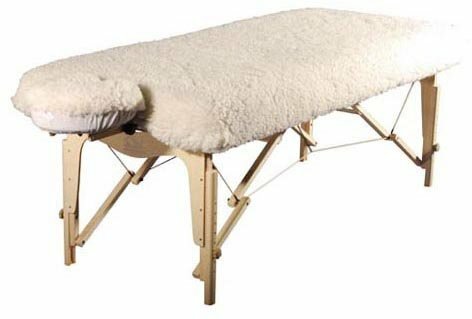 - Fit for 73x28inch/ 185x70cm massage tables; 12 color choices can satisfy different decoration styles. 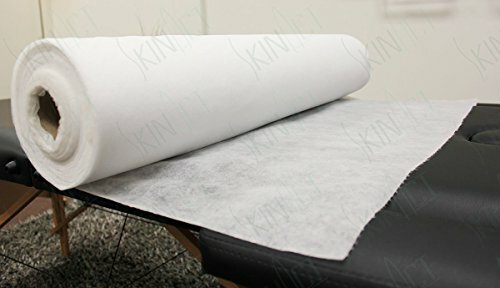 - Widely used for beauty salon, massage table, hotel, cosmetic bed, hospital, shampoo, etc..
Soft Massage Table Valance Sheet Cover with Face Breath Hole. Makes your SPA room professional and tidy, provides a hidden saving space behind skirt for your spa accessories. Designed with face breath hole and side pocket for cellphone, key chains, etc. Pure cotton surface and velvet fabric filling thick sheet provide extra comfort feeling for your customers. Fit for 73x28inch/ 185x70cm massage tables; 12 color choices can satisfy different decoration styles. - Sterile Disposable Bedsheets, Health and Safety Hygienic, soft and convenient for the client. - Universal size fits almost all portable and stationary tables, the elastic band offers a snug fit. * Sterile Disposable Bedsheets, Health and Safety Hygienic, soft and convenient for the client. * Universal size fits almost all portable and stationary tables, the elastic band offers a snug fit. 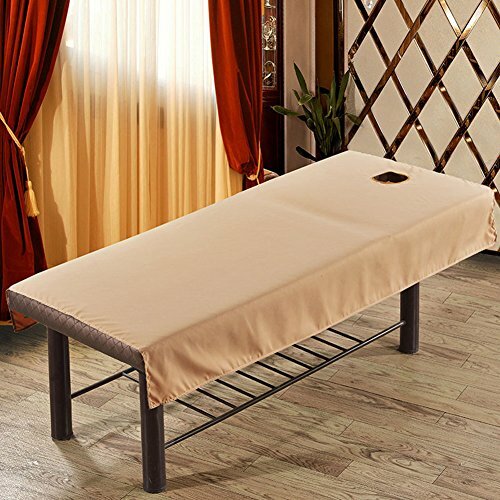 - SPA Massage Table Skirt Beauty Bed Cover Linen Valance Sheet. - Make your SPA room professional and tidy, provides a hidden saving space behind skirt for your spa accessories. - Designed with face breath hole and side pocket for cellphone. - Soft fabric surface provides extra comfort feeling for your customers. 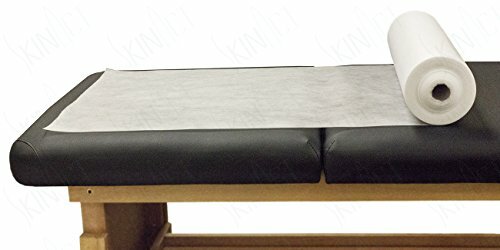 - Suit for massage bed within 190x80cm (75x31 inch) size. 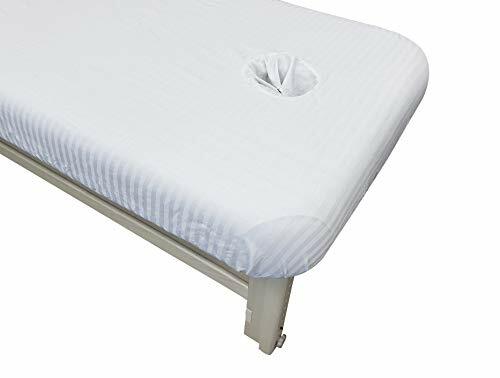 - For beauty salon, massage table, hotel, cosmetic bed, hospital, etc..
2 Piece Massage Table Skirt(Pillow Case and Stool Cover on Display not included). Please allow 1-3cm error due to manual measurement, make sure that you do not mind before you bid. 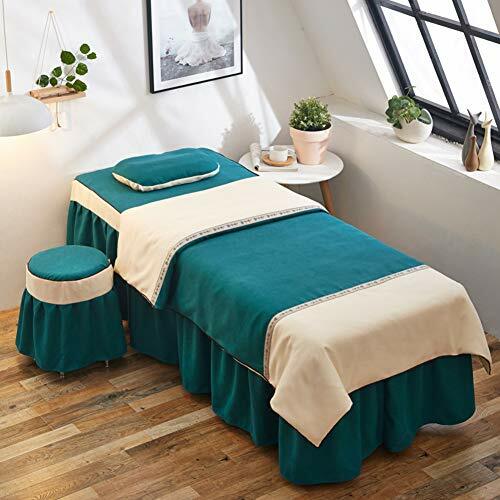 SPA Massage Table Skirt Beauty Bed Cover Linen Valance Sheet. Make your SPA room professional and tidy, provides a hidden saving space behind skirt for your spa accessories. Designed with face breath hole and side pocket for cellphone. Soft fabric surface provides extra comfort feeling for your customers. Keep Your Beauty Salon Looking Neat And Tidy,A Perfect Finishing Touch To Your Massage Table. : 1.All-match:This Bed Skirt Can Be Matched Perfectly With Your Sheets,Pillowcases,Blankets,Mattress Pads Of Different Colors And Materials,Creating A Tidy,Unified And Contemporary Look For Your bedroom. 2.by Default There Is A Hole For Face Rest On The Table sheet. We Can Customize For You Without That Face Rest Hole. 4 Pieces Set ( Bed Skirts,Quilt Cover, Pillowcase And Chair Cover) Provide All Possibilities For Your usage. Made Of Easy Care Silk, These Bedskirts Are Wrinkle Free And Fade resistant. Machine Wash In Cold Water, Tumble Dry On low. Cleaning.simply Tumble Dry With No Ironing Or Expensive Cleaning required! Best Service:We Provide You The Best Service And Very Decent Price goods. Feel Free To Contact Us If There Is Any Question And You Will Get A Reply soon.